If Conan O’Brien is coming to Fox’s late night line-up, Fox affiliates board chairman Brian Brady would hear about it. 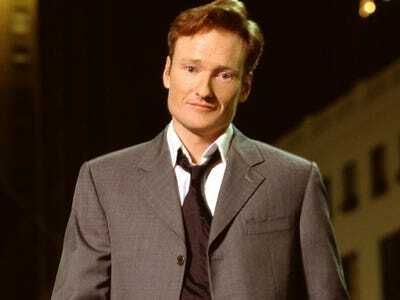 He’s the liaison between Fox’s affiliates’ board and network executives, who need to convince the general managers of 200 stations across the country that Conan can bring in more advertisers and viewers than the repeats many of them currently serve up in their post-10 p.m. timeslots. Despite reports that Fox executives have been pressuring affiliates to consider Conan, Brady hasn’t heard a peep. “To the best of my knowledge, no pressure has been asserted on any Fox affiliates,” he told Broadcasting & Cable. Affiliates are not owned under the network’s umbrella, but allow Fox to sell on-air ads on their channel. News Corp. chairman Rupert Murdoch said last month that Fox is interested in starting a late night franchise with NBC’s ousted host. But some affiliates aren’t convinced he can make them the money they want. “There are differing opinions within the network,” Murdoch said at the time.